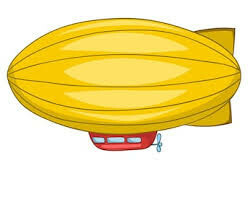 Have you every felt like an imaginary blimp was trying to destroy you? Please support Graphing Calculator 3D and Operations Research and Analytics. We really need all the help we can get to launch these sites. For users, experts and developers of the Tezos blockchain project. For operations research and analytics educators, students, researchers, and professionals. For users of Runiter's Graphing Calculator 3D. For all those who are interested in the evolution of our planet, or who just want to understand our world's issues. It's also dedicated to all specialists who seek to understand how our planet works, whether for passion or professionalism. Ecology and Ecologism: How long does most plastic take to decompose? Ecology and Ecologism: How long do leaves take to decompose? Ecology and Ecologism: Why is the North Pole warmer than the South Pole? Ecology and Ecologism: What species of tree grows the tallest? Beam Blockchain: What is the maximum number of transactions Beam can complete per second? Algorithm Analysis and Design: Does the Java Collections Interface have any built-in implementations of the bubble sort algorithm? Electric Vehicles: How many watts of electricity does the average electric car take to drive a mile? Ecology and Ecologism: How old is the oldest living tree? Beam Blockchain: What platforms are supported by Beam Wallet?